John Maynard Keynes struggled as a foreign-exchange trader, finds the first detailed study of the famous economist as currency speculator. A detailed new study of the chequered currency-trading record of John Maynard Keynes might make today’s overconfident currency speculators think twice. While Keynes was one of the most famous economists in history, and his stock-picking record as an asset manager was outstanding, a forensic analysis of his personal currency trades found that his record was pedestrian by comparison. The findings are forthcoming in the Journal of Economic History, in a study co-authored by Olivier Accominotti from the London School of Economics and Political Science, and David Chambers of the University of Cambridge Judge Business School. In his currency trading, Keynes relied heavily on his own analysis of fundamental economic factors such as inflation, trade balance, capital flows and political developments. Such ‘fundamentals-based’ strategy differs from ‘technical’ strategies that follow simple mechanical trading rules but seek profits by identifying market anomalies – typically through the carry trade (betting on high-interest currencies versus low-interest rate currencies) and momentum (betting on currencies which have recently appreciated versus those which have depreciated). Both fundamentals-based and technical trading styles are observed among modern-day currency managers. But Keynes produced unremarkable results at the dawn of the modern foreign-exchange market, when dealings were transformed by telegraphic transfer and the emergence of a forward exchange market. The period during which he traded was marked by considerable foreign exchange volatility and large deviations of exchange rates from their fundamental values which appear obvious to investors today. However, trading these deviations in real time was hazardous. “Implementing a currency trading strategy based on the analysis of macroeconomic fundamentals was challenging (even) for John Maynard Keynes,” said the research paper. This was particularly the case in the 1920s. Currency traders can be judged in terms of the return generated per unit of risk, also known as the Sharpe Ratio. While Keynes generated a Sharpe Ratio of approximately 0.2 (assuming his trading equity was fixed), the same ratio for an equal-weighted blend of the carry and momentum strategies was substantially higher at close to 1.0 after transaction costs. When he resumed currency trading in 1932 after a five-year break coinciding with the return to the gold standard, although Keynes outperformed the carry strategy (whose mean return was negative) in the 1930s, he still underperformed a simple momentum strategy. The research is based on a detailed dataset of 354 personal currency trades by Keynes between 1919 and 1939 (mostly in five currencies against the British pound – the US dollar, French franc, Deutsche mark, Italian lira and Dutch guilder). Details of the trades were contained in ledgers kept in the archives at King’s College, Cambridge, where Keynes managed the college endowment fund for decades. 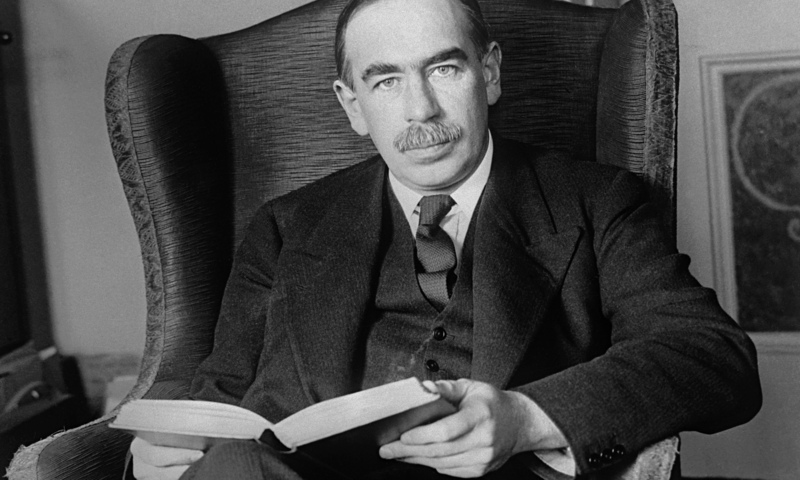 Famously shifting the college portfolio from property to stocks, Keynes’s investment writings based on his very successful investment strategy at King’s College later on became a source of inspiration for David Swensen, the architect of the influential “Yale model” for managing university endowments in the US today. Paper: You can find the paper here. Content Curation: The content curation research for this article was supported by the Belgian company BASESIX. Brain Wars Or Star Wars: Fact Or Fiction?